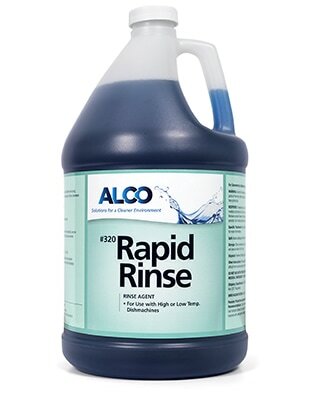 Alco Rapid RInse - Alco-Chem, Inc. Concentrated, cost effective liquid rinse additive and drying agent. Effective in low or high temp dishmachines. Delivers spotless glassware and silverware.